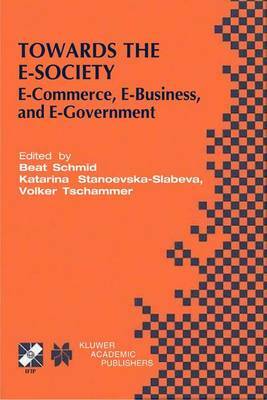 I3E 2001 is the first in a series of conferences on e-commerce, e-business, and- government organised by the three IFIP committees TC6, TC8, and TC11. It provides a forum, where users, engineers, and scientists from academia, industry, and government can present their latest findings in e-commerce, e-business, and- government applications and the underlying technology to support those applications. The conference comprises a main track and mini tracks dedicated to special topics. The papers presented in the main track were rigorously refereed and selected by the International Programme Committee of the conference. Thematically they were grouped in the following sessions: - Sessions on security and trust, comprising nine papers referring to both trust and security in general as well as presenting specific concepts for enhancing trust in the digital society. - Session on inter-organisational transactions, covering papers related to auditing of inter-organizational trade procedures, cross-organizational workflow and transactions in Business to Business platforms. - Session on virtual enterprises, encompassing papers describing innovative approaches for creating virtual enterprises as well as describing examples of virtual enterprises in specific industries. - Session on online communities containing three papers, which provide case studies of specific online communities and various concepts on how companies can build and harness the potential of online communities. - Sessions on strategies and business models with papers describing specific business models as well as general overviews of specific approaches for E- Strategy formulation.